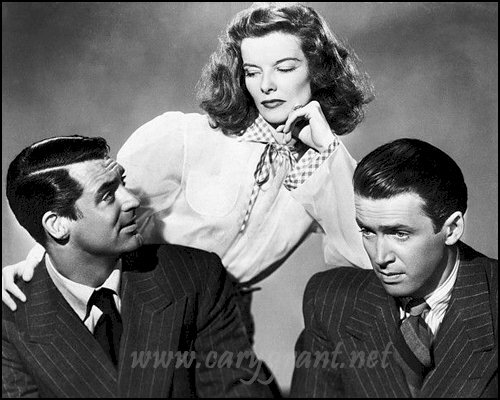 We should begin this review with a caveat: The Philadelphia Story is one of my favorite films of all time. For me, it has everything you want in a great film. First and foremost, the dialogue is superb. In fact, given it was written in 1940 I would argue the screenplay is ahead of its time for its wit, innuendo and double entendre. The story is based on the Broadway play by Philip Barry but the adaptation work by Donald Ogden Stewart and the delivery by the first-rate cast makes it stand out. The story itself is witty and interesting. For those of you who have not seen it, the story revolves around a socialite family from Philadelphia. The upper crust Tracy Lord (Katherine Hepburn) is about to be married to the hard working and virtuous George Kittredge. However, Tracy’s first husband, C.K. Dexter Haven (Cary Grant) shows up at the family estate the day before the wedding with a couple of undercover reporters from Spy Magazine (think TMZ) (Macaulay Connor played by James Stewart and Liz Imbrie played by Ruth Hussey) who think they are there to cover the social event of the season but are in fact there at Haven’s bidding in trade for the magazine not publishing a salacious story about the family’s patriarch. The Lord family catches wind of the plot and decides to play it up for the reporters, but of course nothing goes as planned and a drunken wedding eve leads to unexpected resolutions, declarations of love and ultimately a happy Hollywood ending. The film appeals to me on so many levels. To begin, Hepburn has never been more beautiful and funny. Tracy is a woman who has always been thought of as cold and aloof, a “trophy” to be admired and put on a pedestal. But all she really wants is to be loved for who she is. Marrying George is obviously the wrong thing to do, but it takes her ex husband and a romantic writer to help her see how to get what she really wants. Grant is dry and sarcastic as Dexter, who is still in love with Tracy and is there not so much to win her back from George but to protect the Lord family from the ruthless media because he doesn’t want any of them to be hurt. And then there is Jimmy Stewart’s Connor, for which he won an Oscar for Best Actor. Mike Connor hates his job at the magazine because he is a “real” writer but he needs to pay the bills. He goes to the wedding thinking it will be a typical snooty society event but he finds the Lord family is down to earth and of course Tracy is both intelligent and loving and he falls head over heels for her. The scenes in which Stewart and Hepburn are drunk are some of the funniest scenes ever filmed. As a former journalist I love the character of Macaulay Connor. In fact, he is one of my favorite movie characters ever and one of the reasons for my son’s name (don’t tell Leslie our boy is named after this character because she’ll deny it but it was definitely in my mind as we decided on the name Connor). Stewart is remembered for other great roles including Harvey, Mr. Smith Goes to Washington, It’s a Wonderful Life and Rear Window, but he only won one Academy Award and it was for playing Macaulay Connor! The smaller roles also make this film so wonderful. Tracy’s little sister Dinah, played by 14-year-old Virginia Weidler is hysterical, as is Roland Young’s Uncle Willie. Tracy’s mother Margaret, played deadpan by Mary Nash, is clueless to the goings on and delivers some of the films most memorable lines. I have seen The Philadelphia Story perhaps a dozen times or more and whenever it’s on TV I stop to watch. It’s truly one of Hollywood’s greatest romantic comedies. I love love love Jimmy Stewart and almost all of his films. Thanks for another take on this wonderful film! Check out my Jimmy Stewart series some time. I love this movie. I never get tired of watching…each time I seem to catch something I hadn’t before. The screenwriting is outstanding and I always enjoy the fact that there is a bit of physical comedy too. With three of my favorite actors in it…cannot go wrong.